The controls are virtually identical to the previous A620, with the upper surface dominated by a Command dial to select the various modes. There’s fully Auto, Program, Custom, Manual, Aperture and Shutter Priority modes, along with dedicated Portrait, Landscape and Night Portrait presets, a SCN option to access ten further presets using a button on the back, and finally Movie and panorama Stitch-Assist modes. Anyone familiar with the earlier A620 will notice the ‘My Colours’ option is missing from the A640’s mode dial, but these are now selected and adjustable via the main screen. See our third Features page for full exposure information. The built-in flash is another example where the A640 goes beyond average compacts. Alongside the usual forced on / off, red-eye and slow-synchro modes are rear (2nd) curtain, flash compensation and manual flash output options. Canon also offers an optional underwater housing, the WP-DC8, which is rated at depths up to 40m. Like its predecessor, the A640 is powered by four AA batteries and Canon, as usual, supplies a set of disposable alkalines to get you started. These should of course be replaced as soon as possible by a set of high capacity rechargeable NiMH AAs, and while Canon could argue most homes already own a set and a recharger, it would still have been nice to have them included. After all, its rivals which employ Lithium Ion packs are rechargeable from day-one with no additional investment. 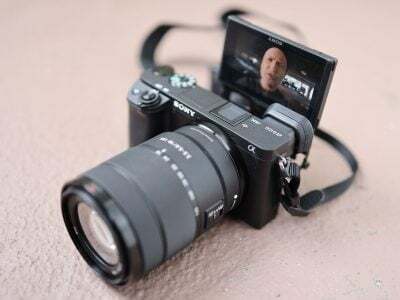 On the upside, the A640’s battery life is very good with Canon quoting up to 500 shots under CIPA conditions using the main screen for composition, or up to a whopping 1500 using the optical viewfinder alone. Switching to the optical viewfinder when the batteries are running low is a great option for eeking out extra life. Annoyingly though there’s little indication of battery life beyond an icon appearing and the power lamp flashing when you’re close to the end. At least AAs are readily available should you get caught out. Like its predecessor, the A640 takes SD memory cards and now supports SDHC for capacities beyond 2GB. Canon supplies 32MB to get you started, but clearly you’ll want a bigger card straightaway. Interestingly the A640’s memory card slot has been relocated from the side to within the battery compartment which many may find less convenient – especially if the four AAs slip out when you’re accessing the card. Finally, in terms of connectivity, three ports are hidden behind a flap on the camera’s upper right hand side for TV output, USB and DC-in. The Canon PowerShot A640 is comfortably larger and heavier than most modern compacts, and while it could squeeze into larger pockets, it’s more suited to carrying around in a bag. We’ve pictured the A640 alongside the Fujifilm FinePix F30 and Sony Cyber-shot DSC N2 below and it’s clear to see the size difference. The A640 measures 110x66x49mm and weighs 245g without batteries, or around 340g with batteries. While the A640 may lack the svelte dimensions and light weight of many compacts, its extra bulk does provide several advantages. 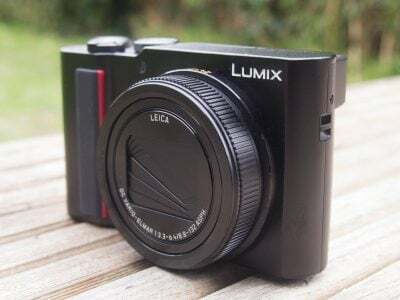 Most obviously it sports a decent grip which most compacts are missing, allowing you to hold it more comfortably and better avoid camera-shake. It also offers an optical viewfinder, which have become virtually extinct on recent compacts. As we’ll explain on the next page, these can be an invaluable alternative for composition when the main colour screen becomes washed-out due to bright direct sunlight – and they’ll also greatly extend your battery life. The build quality, like the previous models, is excellent. The A640 feels very solid with moving parts clicking securely into position and no creaks or rattles to worry about. The mounting for the flip-out screen, which we’ll describe in greater detail in the Features section, also exudes engineering quality and confidence as it’s turned into various positions. Overall the A640 is a very well-designed camera.